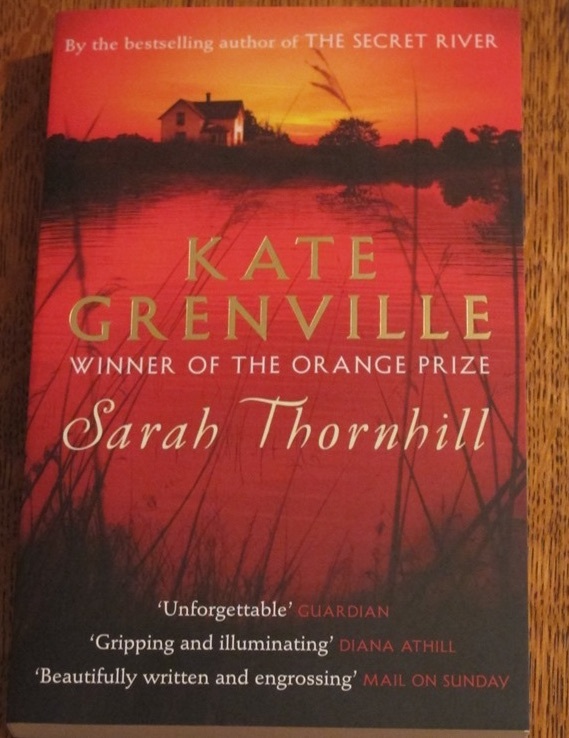 When I read Sarah Thornhill it was the first book by Kate Grenville that I have read. She is after all one of Australia’s best known authors. That is one of the things that is good about participating in this challenge to read books by Australian women. Not only do you read authors who you have heard of, but you also try out new authors. I have long been a fan of books that have a historical element to them. My love of Australian books like this started with E.V. Timms books and his Australia saga. My grandmother had the whole set of these books that are still treasured and my parents have them now. As it states on Grenville’s website, although Sarah Thornhill is part of a series (it is the third book in the ‘Colonial Trilogy’ after The Secret River and The Lieutenant) it is a stand alone book in its own right. The Lieutenant tells the story of the first generation of Europeans in Australia, when conversation between black and white was still possible. The Secret River is about the next generation, when that conversation was closed down by violence. Sarah Thornhill is about the third generation, the ones who have to deal with what the past has created, and have the responsibility to tell its story. Synopsis: Sarah and Jack have never doubted that they are made for each other. But there is someone in Sarah’s family who will not tolerate the relationship. The reason lies in both the past and the present, and it will draw Sarah across an ocean to a place she never imagined she would be. My thoughts: Wow from the first page essentially. Grenville brings to life the Hawkesbury as it would have been in the 1800s, and it is full of beautiful descriptions. Sarah’s father has remarried and her step mother is a really hard woman. Sarah has a relatively privileged life, although she is illiterate. Although there are secrets in her family’s past that are well hidden. For instance, there is the identity of the brother who went away that is a mystery. Then there is the loss of someone in the family that rocks them all. After this there is the discovery of someone who will shape Sarah’s future. We watch her grow from a shy teenager into a knowing, thoughtful, generous woman. I was not expecting the particular twists and turns to the story that did happen, but they made for a thoroughly engaging book. ‘You could put a number on the sunrises I’d had. It was a big number, three hundred and sixty-five for every one of the twenty-three years I’d been alive. I was planning on having a good number more, but no one could name that number. Not yet. When I was dead someone would be able to say exactly what that number was. Big or small, it was a particular number. The books in this series are a fictional narrative of Grenville’s ancestors. On her website there is a page that goes into great detail about her research for Sarah Thornhill. I urge you to go there and read all about it, and after that read this book. I really want to read the others in the series now. Copy courtesy of the publisher. This entry was posted in Australia, Reading and tagged aww2013, book review by Cathy Powell. Bookmark the permalink.